Have you also considered chi squared tests on 2x3 contingency tables to test for an association between winning the toss and winning, losing or drawing a test? 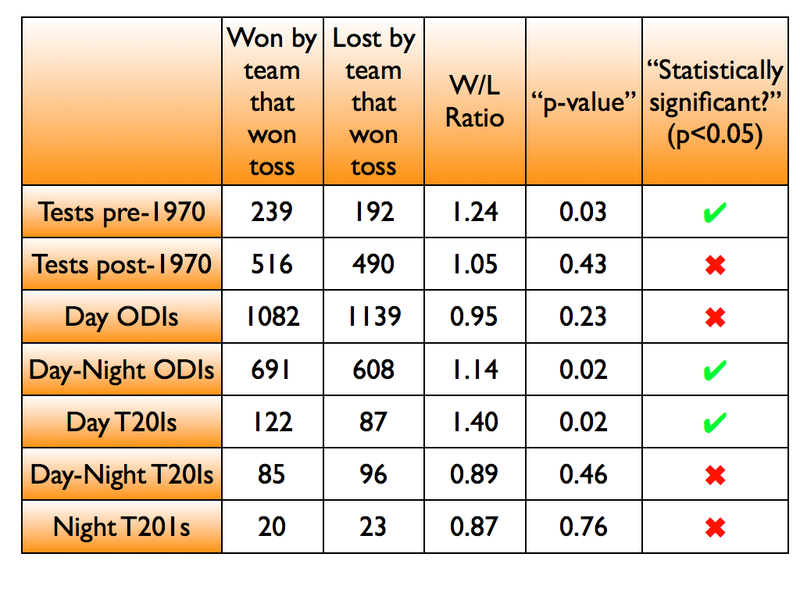 What you're looking at here is relative risk - what is the relative chance of winning given you have won the toss compared to when you have lost. 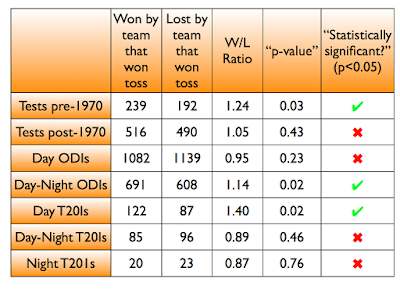 You can then get away from the unnecessary p-values and just focus on effect size - for example for your day T20s the results are 1.4 (1.15 to 1.71), so the chances of winning a T20 if you win the toss were on average 40% higher, but the actual true value may lie between 15 and 71%.